An elk bull in Pennsylvania. Gone from Pennsylvania's forests by the 1870s, elk were sucessfully repopulated to the Commonwealth in the early 1900s. 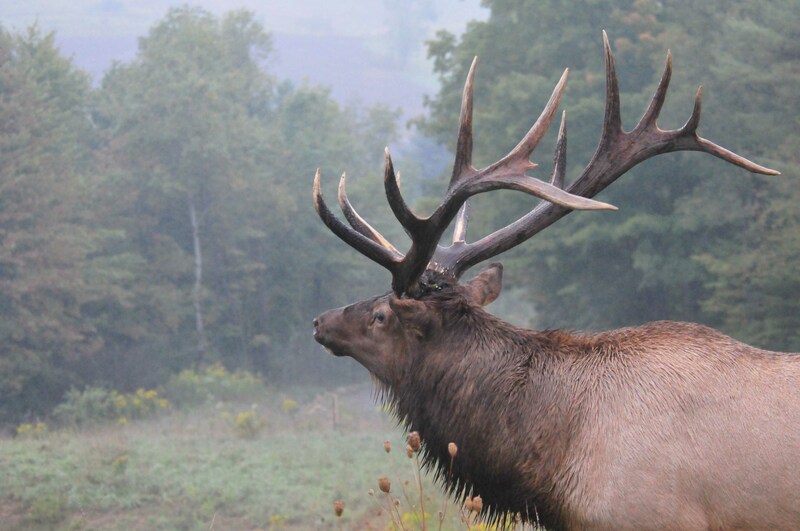 Elk populations in the state have been sufficiently large and stable enough for the Pennsylvanai Game Commission to permit a limited hunting season each year since 2001.